The House Energy and Commerce Committee's Commerce, Manufacturing and Trade Subcommittee heard testimony today on 17 different pieces of proposed legislation that would impact the Federal Trade Commission. Among those providing prepared comments were FTC Chairwoman Edith Ramirez, former Director of the FTC Bureau of Consumer Protection David C. Vladeck, and former FTC Commissioner Joshua D. Wright. Regarding the Technological Innovation through Modernizing Enforcement (TIME) Act (H.R. 5093), which would place an 8-year time limit on most administrative consent orders to assure that technological innovation is not impaired, Ramirez opined that the FTC's past work indicates that consent orders beyond 8 years are frequently necessary to protect consumers. In fact, the FTC has brought at least 10 district court enforcement actions for violations of consent orders that were over 15 years old and involved serious, recurring violations, Ramirez stated. Under existing law and practices, Ramirez continued, parties can seek modification of consent orders upon a showing of changed conditions of law or fact, whereas under the proposed legislation, only certain orders can be terminated, and then only after 5 years. Vladeck observed that, given the hundreds of consent decrees the FTC oversees, the burdens imposed by this proposed legislation were considerable, and outweighed any benefits it might provide. FTC consent decrees are already designed with the goal in mind of avoiding stifling innovation, he stated. Referring to past decrees against Internet giants like Google, Facebook and other high-tech companies, Vladeck noted that FTC consent decrees, even those with 20-year durations, have not and will not hinder innovation. In addition, consent decrees, which are injunctions, once entered by federal courts, are permanent and not time-limited. This provides not only specific deterrence against the company in question but also general deterrence. This proposed legislation would greatly undermine that deterrent effect, Vladeck stated. Also, in many cases, the FTC does not have the authority to impose civil penalties on first-time offenders, so the consent decrees are the only remedy the FTC has for cases where the violation is egregious and has caused massive consumer injury. Wright argued that a 20-year consent decree was not well calibrated to many targets of modern consumer protection enforcement. He noted that the entire lifespan of the average company in the S&P 500 index was itself 20 years, and that the shorter limits in the proposed TIME Act were a step in the right direction. While stating that a shorter sunset period made legal, technological, and economic sense, how much shorter was open to question. Wright suggested that the Subcommittee could instruct the FTC to open notice and comment period to address and analyze various sunset lengths. The Start Taking Action on Lingering Liabilities (STALL) Act (H.R. 5097) contains provisions intended to relieve businesses of uncertainty as to whether an FTC investigation is still open, by requiring the FTC to send the company being investigated a verifiable written communication every 6 months. Ramirez expressed the Commission's fear that the legislation could result in the automatic termination of important investigations due to lost mail or a procedural oversight. Vladeck reported that it was hard to see what problem the proposal was intended to resolve when, during his tenure at the FTC, he never received a single comment about agency investigative delays. In many cases, investigations are slowed, not by the agency, but by the target of the investigation, Vladeck noted. Had this legislation been in effect during the FTC's investigation into Countrywide and a deadline had been inadvertently missed, Vladeck stated, tens of thousands of Americans would have been deprived of over $130 million in compensation obtained by the FTC through consent decrees. This cannot be allowed to happen, Vladeck opined. Ramirez also criticized the Clarifying Legality and Enforcement Action Reasoning (CLEAR) Act (H.R. 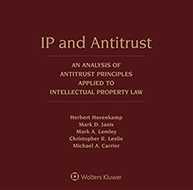 5109) requirement that the FTC publish an annual report on its consumer protection investigations. Ramirez and Vladeck expressed concern that such a report, which would be required to show the legal basis for investigations that were closed, could result in information that identified companies that were the subject of closed investigations and needlessly harm their reputations and invite litigation. 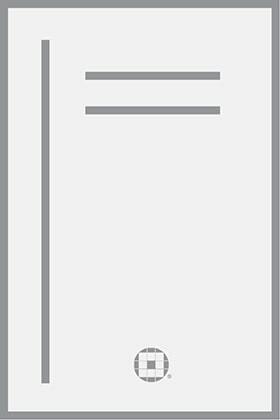 The Solidifying Habitual and Institutional Explanations of Liability and Defenses (SHIELD) Act (H.R. 5118) allows a company to use compliance with FTC guidance as evidence of compliance with the law (i.e., a safe harbor). But, Ramirez and Vladeck stated, Commission guides are only an administrative interpretation of the law, designed to assist businesses in compliance. The FTC should be able to take action against an entity where its specific conduct violates not only the guidance but also the law itself. The legislation would in effect make compliance with guidance compliance with the law itself, thus substituting the guidance for the law. This would chill the FTC's efforts to provide guidance, which it currently does by way of workshops, reports, blog posts, emails, and social media. The Revealing Economic Conclusions for Suggestions (RECS) Act (H.R. 5136) would require that, before the FTC could make a legislative or regulatory recommendation, it would first be required to obtain a cost-benefit analysis from the FTC's Bureau of Economics, and address whether private markets could address the issue in the absence of FTC action. The work of the Bureau of Economics already informs the FTC's comments on legislation and regulations, Ramirez stated. 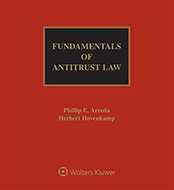 Barring FTC recommendations without an accompanying Bureau of Economics analysis could prevent the FTC from providing recommendations where it is not necessarily expert as to the entire issue but has expertise to contribute—for instance, comments on other agencies’ proposals; suggestions for industry self-regulation; responses to state law makers seeking guidance on the competitive effects of proposed state bills, etc. Vladeck opined that the proposal itself could not survive a cost-benefit analysis, because the burdens it would impose would silence the voice of the FTC, an independent bipartisan expert agency, on all but a handful of issues. Regarding the Statement on Unfairness Reinforcement and Emphasis (SURE) Act (H.R. 5115), Wright commented that the authority to bring enforcement actions against unfair trade practices was an important tool in the FTC's consumer protection arsenal. But, he argued, an economically unsound application of the FTC's unfairness authority could arise when the FTC staff does not perform a sufficient economic analysis, or else the Bureau of Economics does prepare such an analysis but it is ignored in FTC decision-making. He advocated for rigorous economic analysis to be incorporated into every level of decision-making at the FTC. He suggested that the SURE Act be amended to mandate that the Bureau of Economics publish a public separate explanation of the cost-benefit analysis of the FTC's action when it enters into consent decrees. This would give the Bureau more leverage internally within the FTC and provide a mechanism to reject cases that are not supported by sound economics, Wright stated. The Consumer Review Fairness Act (H.R. 5111) would help prevent companies from silencing truthful consumer reviews of products and services. Ramirez related cases where companies threatened to sue consumers who shared negative experiences online, on the basis of so-called gag clauses: non-disparagement provisions of the company's terms and conditions. Ramirez and Vladeck both expressed support for this legislation. The Reinforcing American-Made Products Act (H.R. 5092) would give the FTC exclusive authority to set and enforce standards for when something can be labeled "Made in the USA." The FTC already developed and publicized an "all or virtually all" standard for this purpose, and supported this legislation, Ramirez stated. However, the measure would also allow states to challenge "Made in the USA" claims using FTC standards. The Youth Sports Concussions Act (H.R. 4460) addresses the importation and sale of sports equipment for which the importer or seller has made deceptive safety benefit claims. Given the dangers that concussions and other injuries pose for athletes, Ramirez stated, it is essential that advertising for products claiming safety benefits be truthful and substantiated. Although the FTC has investigated three major football helmet manufacturers, Ramirez is supportive of this legislation, as it would provide the FTC with additional enforcement tools. The Stop Online Booking Scams Act (H.R. 4526) would require disclosures to prevent online travel sites from deceiving consumers about their affiliation with hotels. Ramirez stated that this type of deception is generally not seen with mainstream third-party online travel agencies, and the FTC is concerned with imposing undue burdens on legitimate businesses. Therefore, the agency recommended that the legislation specifically prohibit sales by entities that misrepresent that they are affiliated with a hotel. The FTC supports the goal of the Better Oversight of Secondary Sales and Accountability in Concert Ticketing Act of 2016 (H.R. 5245) in requiring more transparency in ticket sales, Ramirez stated, but recommends several changes to prevent consumer confusion due to excessive disclosures. Rather than requiring disclosures, the FTC recommends that the legislation prohibit misrepresentations that a secondary ticket seller is the venue or the primary ticket seller. The Better On-line Ticket Sales (BOTS) Act (H.R. 5104) seeks to ensure that consumers can purchase online tickets to entertainment events directly from sellers at face value. While appreciating that the legislation seeks to prevent all such sales from going to scalpers, the FTC recommends that liability should only be imposed on scalpers who use specialized software for that purpose, and not general-purpose software that might be misused for that purpose. The Protecting Consumers in Commerce Act of 2016 (H.R. 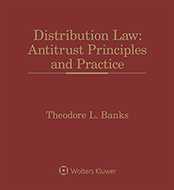 5239) would remove the telecommunications common carrier exception from the FTC Act, an exception put in place when, unlike now, telecommunications were highly-regulated monopolies. Unless the common carrier exception is repealed, the FTC will not be able to bring enforcement actions against broadband Internet providers for acts such as data throttling, because the FCC has reclassified broadband Internet as a common carriage service. Although the FCC would share jurisdiction over common carriers, consumers would benefit from jurisdiction shared with the FTC, Ramirez stated, because enforcement provisions of the FTC Act provide for consumer redress. H.R. 5255 would extend FTC jurisdiction to charitable, religious, educational, and other nonprofit organizations. Ramirez stated that the current restrictions prevent the FTC from challenging the deceptive data security or privacy practices of non-profit health systems and universities, despite instances of well-publicized data breaches. Ramirez stated that the FTC supports aspects of the Freeing Responsible and Effective Exchange (FREE) Act (H.R. 5116) and FTC Robust Elderly Protections and Organizational Requirements to Track Scams (FTC Reports) Act (H.R. 5098) which would allow a bipartisan group of at least three FTC Commissioners to meet in closed-door sessions, and also mandate an annual report on scams that targeted individuals age 65 or older. However, Vladeck noted that a recent FTC report on consumer fraud showed that those between the ages of 55 and 64 were actually at a higher risk of being defrauded than those between ages 65 and 74, and the proposal made it unclear whether the annual report needed to include data on both groups.